Wrapping up our posts on girls who photograph girls skateboarding is Heidi Lemmon. However, the blog is always here for anyone who wants to share their story of how skateboarding has inspired them, so if you’re a photographer it’s never to late to share your story. Heidi is busy, often times she’s multi-talking by taking pictures while she’s working on getting skateparks built, the brand manager for Saltrags, or a co-producing events and contests. Heidi, who’s a snowboarder that enjoys cruising on her skateboard, supports all skaters and this is what she had to say about photographing skater girls which she’s been doing since 1996. How did you get involved with shooting skater girls? I started shooting at a lot of the World Cup events and when they started Combi Classic I started shooting the girls. Then Exposure & Poseidon came so I shoot there. 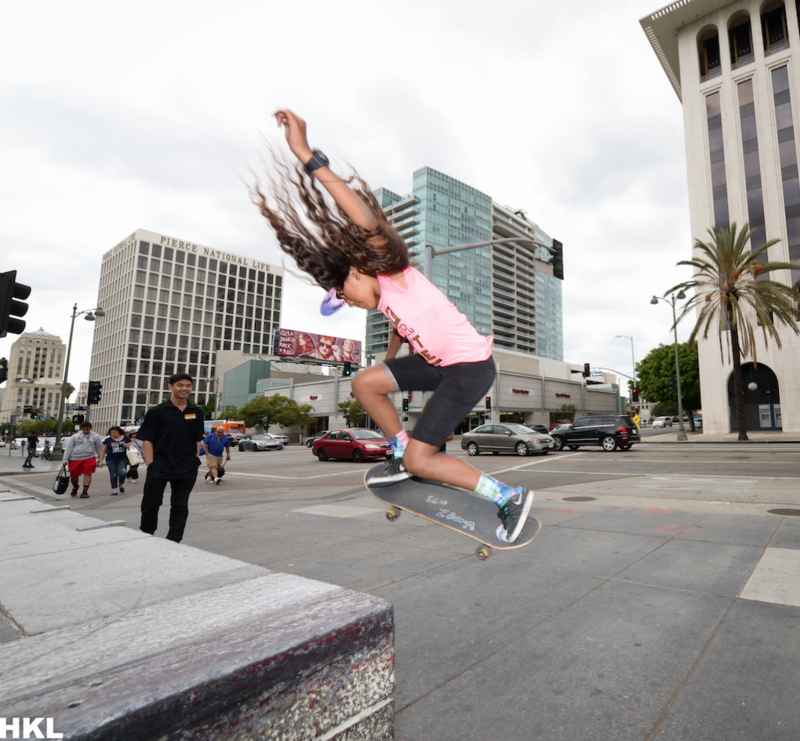 How has girls skateboarding changed since you started shooting? When I started 20 years ago the girls were pretty scarce and not organized. Today we have so many girls really ripping and world wide. The bar has been raised! 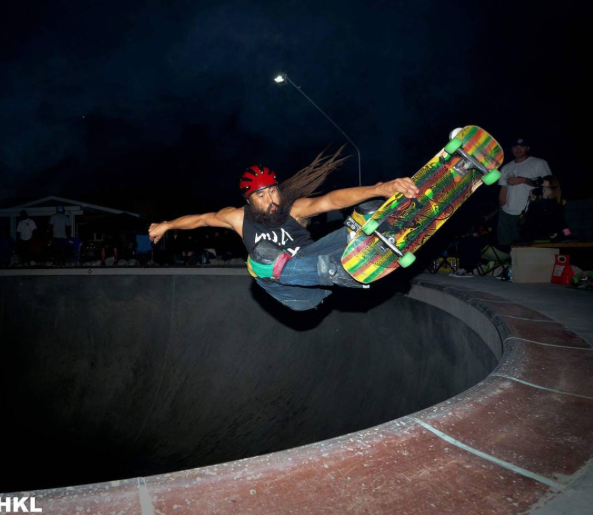 What’s your favorite type of shooting – for example street, bowl, vert, long boarding? 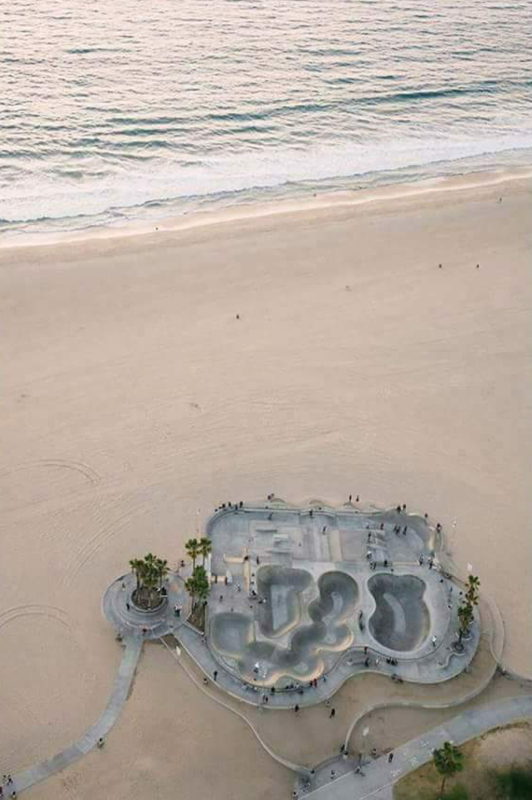 Bowl and park. I like shooting real street, but it’s hard finding the locations, parking, and then dodging security. Venice…love this park 14 years in the making. Props to Geri Lewis for leading the charge! Where do you like to shoot – for example locations, parks, events, contests? What’s different about shooting skateboarding then other photography? You have to catch the “trick” just right. You can’t set up a shot with a model, you need a real skater and you can’t fake it. What do you think of all the press girls’ skateboarding is getting? I think all press is good – but I want to be a journalist. And every fashionista has a subscription to Vogue. I was beyond excited when I saw Amelia shoot a prom dress campaign and then the pictures & videos got covered in magazines. And those long board girls in the Red Hot Chili Pepper video – loved it & totally inspired me to keep skating. But is that press bad for competitive female skateboarding? I think all press is good as long as the girls can skate. Did/do you have role models or people/organizations that continue to encourage and support your photography? Most of the people who shoot skateboarding all know each other. We shoot the same events, all the time, so we are our own team. There is no way 1 photographer can catch it all so I count on others to catch what I can’t and vice versa. I think we have more fun than anyone and are very supportive of each other. We know what it takes to get a good shot and appreciate one, no matter who gets it. 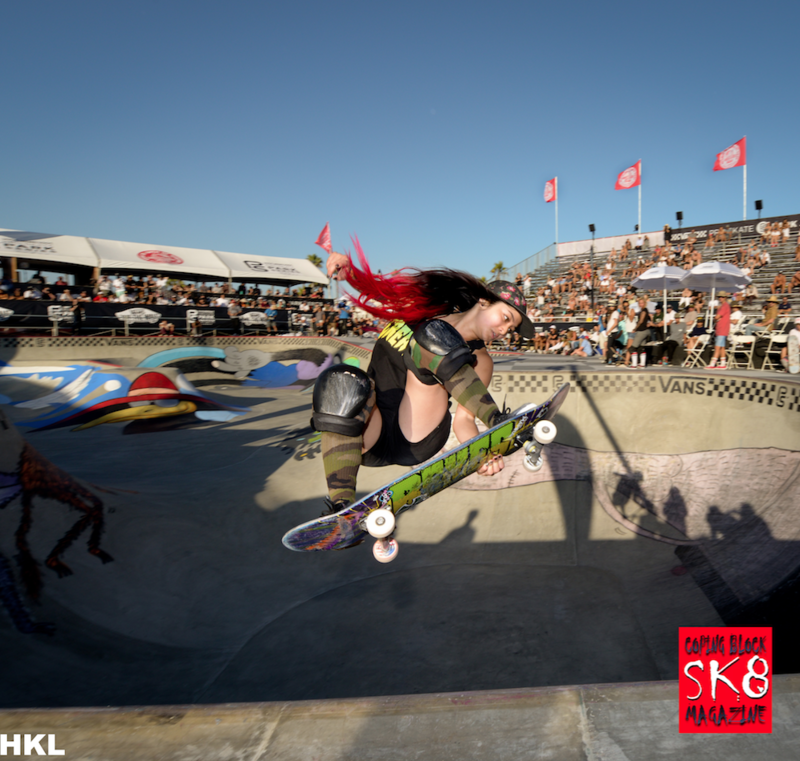 Anything you want to share about why girls shooting girls skateboarding benefits the skateboarding sport & builds self-confidence & opportunities for girls. I think some of the girls are more comfortable with girls shooting but I dont think its important. I think getting good photographers out there & documenting is key to getting the girls more opportunities. I have shot more of the guys than girls and they never complain that I am a woman. It’s all about the shot – not the gender. Thank you Heidi for sharing. Pictures are worth a million words and stories make learning easy so please keep sharing yours. The time you take to share could very well be the time it takes to inspire someone to follow their passions either on or off the board.